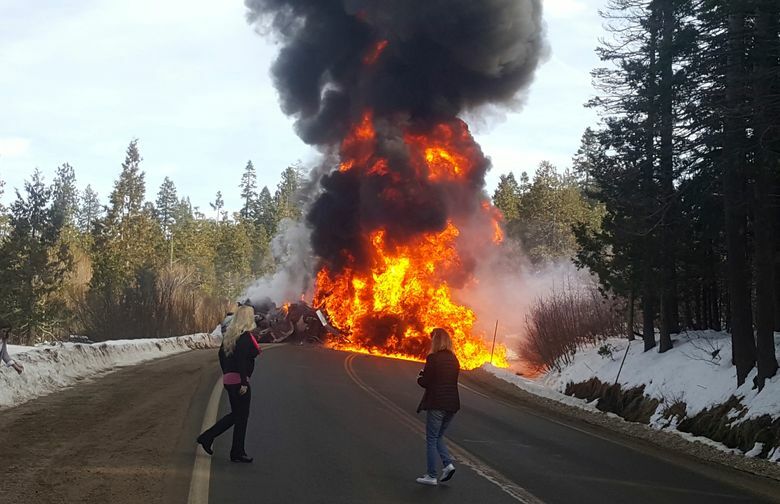 TRUCKEE, Calif. (AP) — A fuel tanker truck has exploded in a fiery crash with a pickup truck on a highway near the crest of the Sierra Nevada, killing both drivers and shutting down a stretch of roadway. 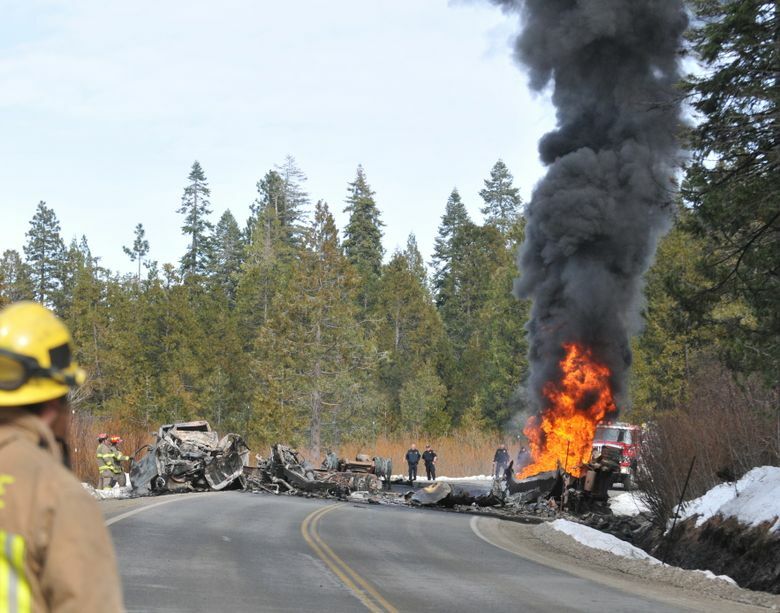 California Highway Patrol Officer Chris Nave told the Sierra Sun newspaper that both drivers died in the crash Wednesday. 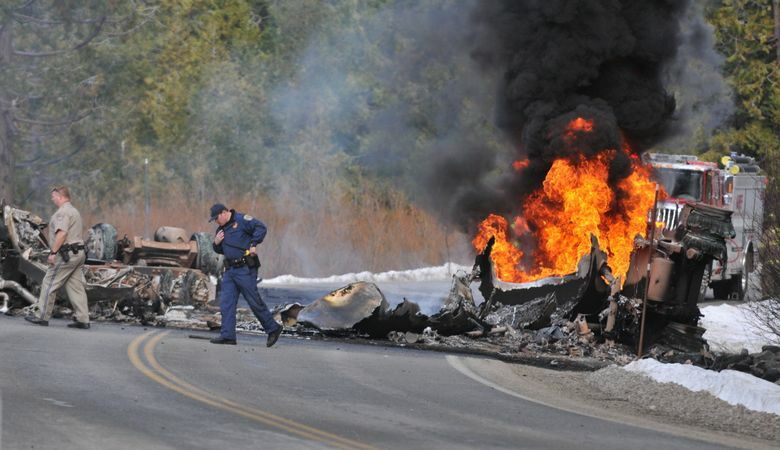 Nave says 40- to 50-foot-high (12- to 15-meter) flames prevented emergency crews from immediately reaching the wreckage. 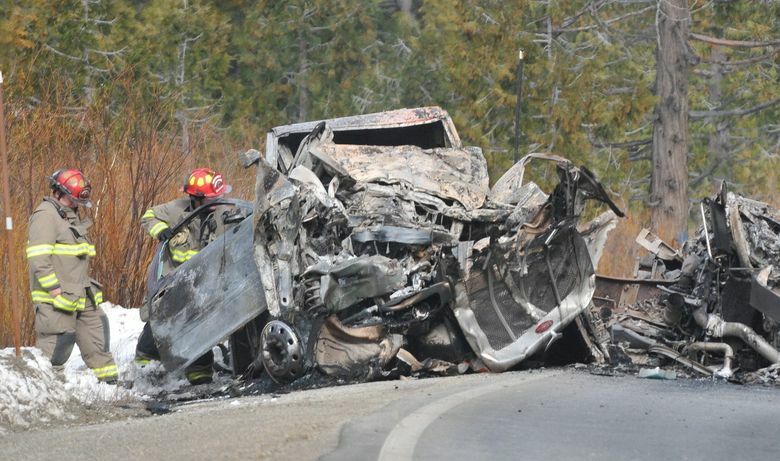 Only the drivers were in the vehicles, and no one else was hurt. 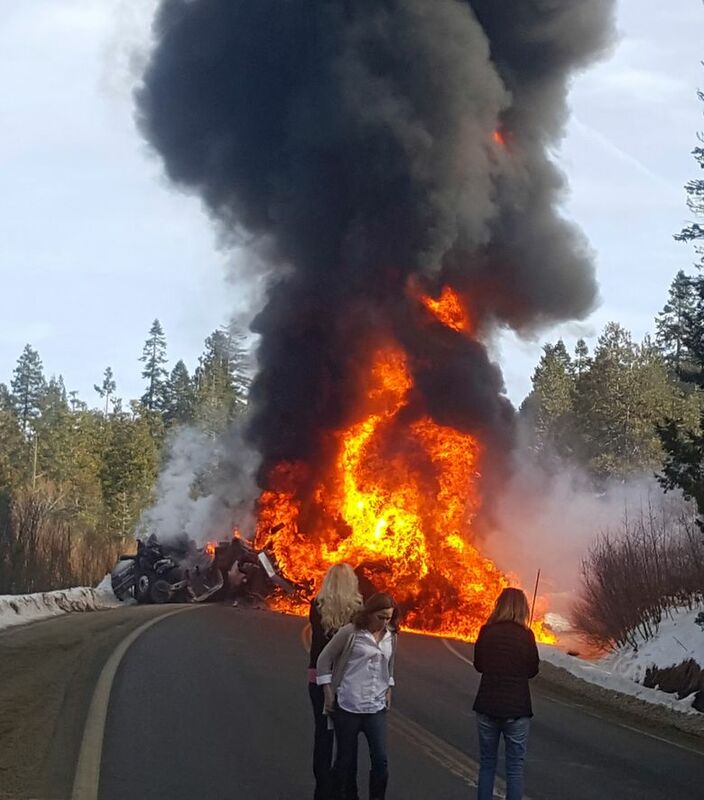 Nave says State Route 20 from Nevada City to Interstate 80, about 40 miles (64 kilometers) west of Truckee, may not reopen until Thursday. Traffic was being rerouted. A California Department of Forestry and Fire Protection spokeswoman told the newspaper that reports the flames had spread to trees weren’t accurate.